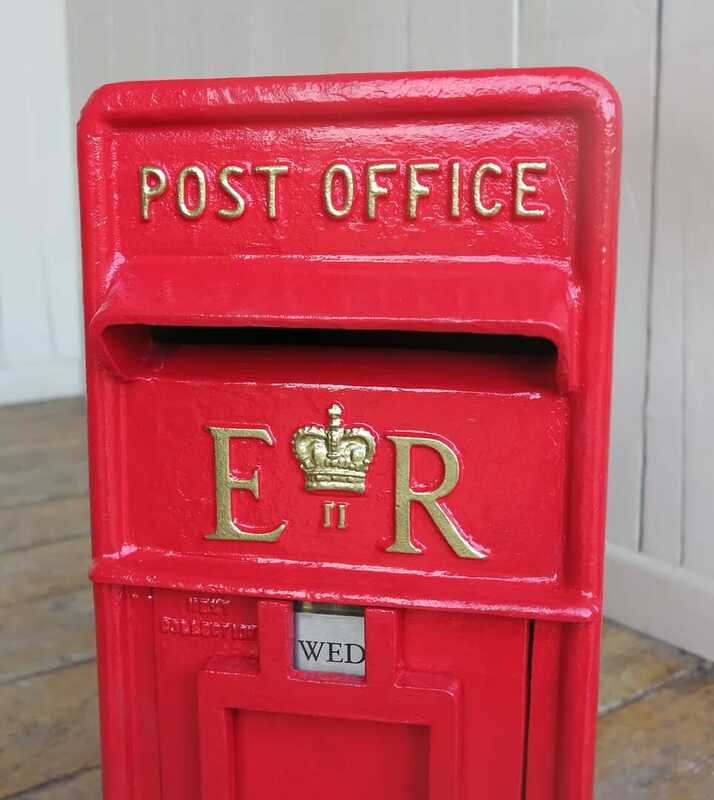 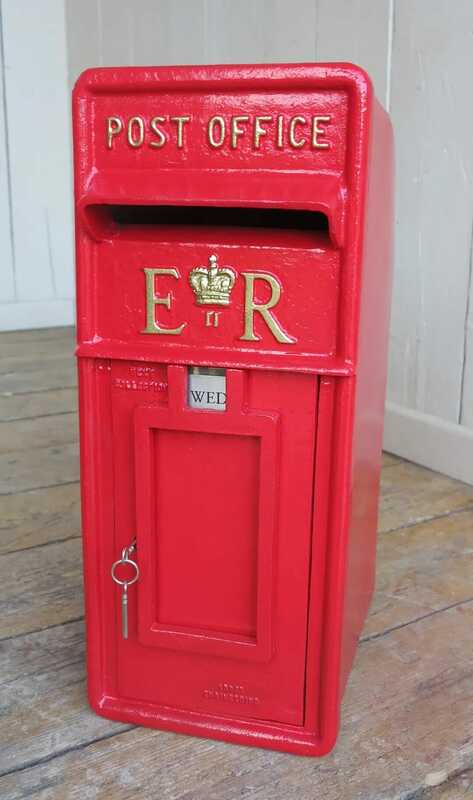 This is a genuine cast iron pole mounted Royal Mail post box. 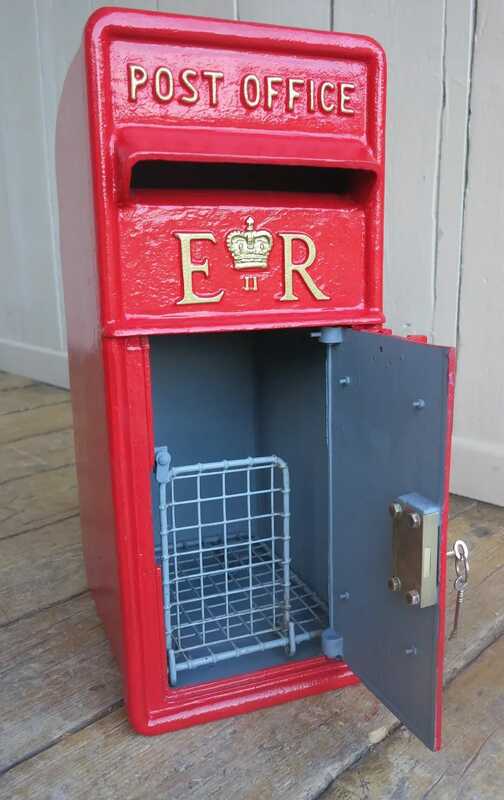 Fitted with original Chubb lock, 2 x keys, cage, collection box and collection tab. 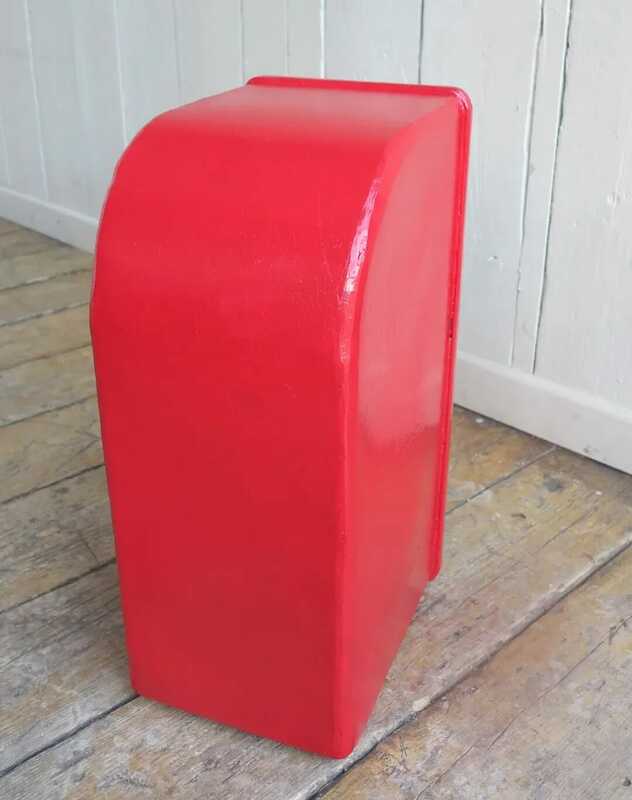 The overall size is 24" Tall x 10" Wide x 12 ½" Deep. 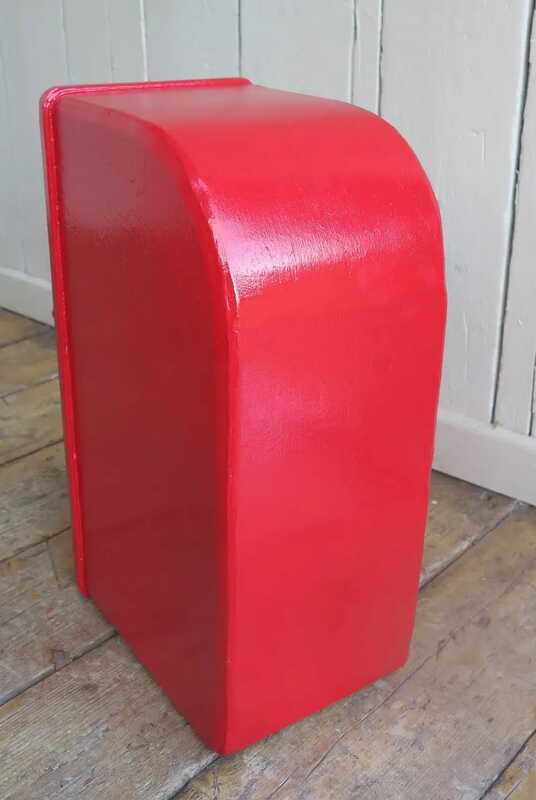 4 holes in the bottom for which you can pole mount with our poles. 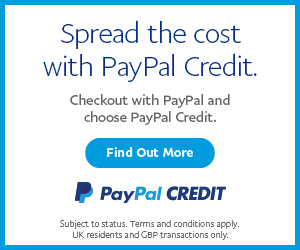 (See advert - Ref:po4).